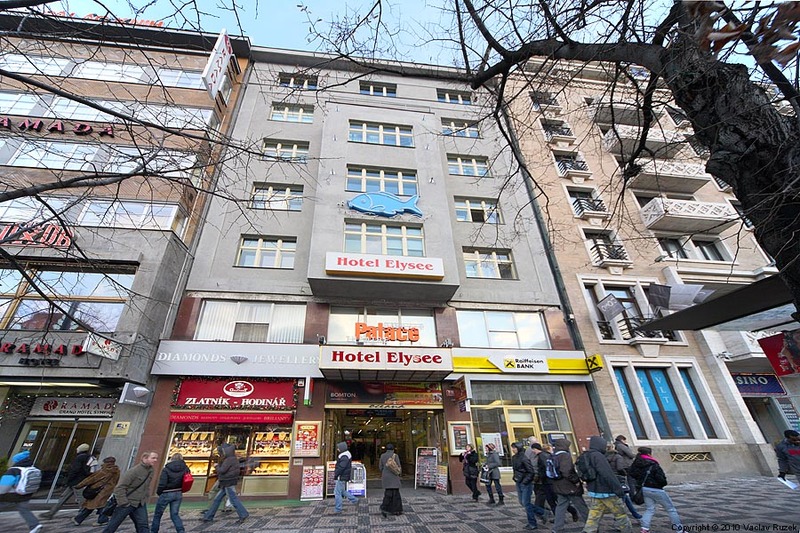 Luxurious Elysee hotel is situated into the heart of Prague – directly on Wenceslas Square and provides its customers with a contact with the historical and business centre of the city. 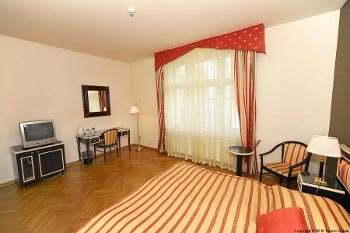 National Museum, Old Town Square or the State Opera are located in the immediate vinicity of the hotel. 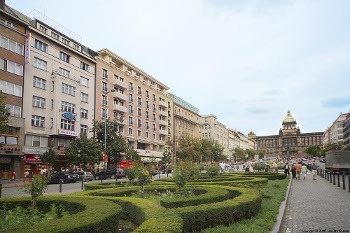 National Museum, Old Town Square or the State Opera are located in the immediate vinicity of the hotel as well as all 3 underground lines. Main Railway Station only 5 minutes on foot. 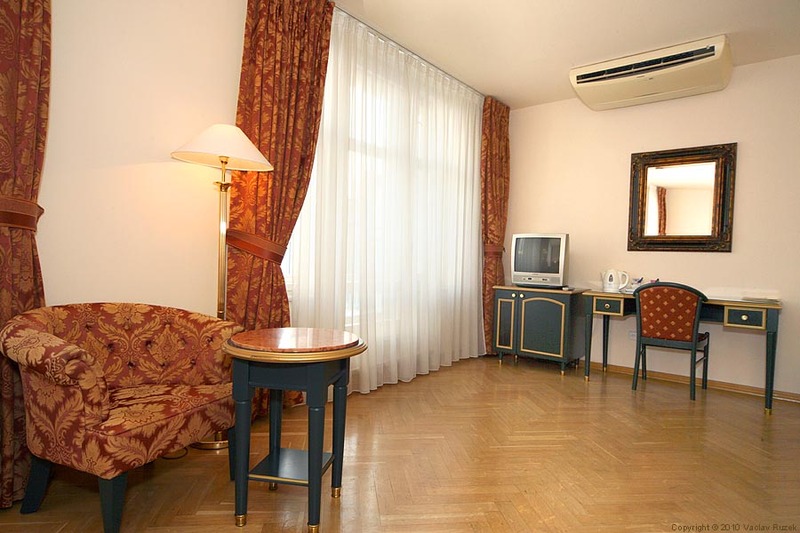 The hotel disposes of 78 elegantly and stylishly furnished rooms and suites including 15 luxurious apartments with parquet flooring. 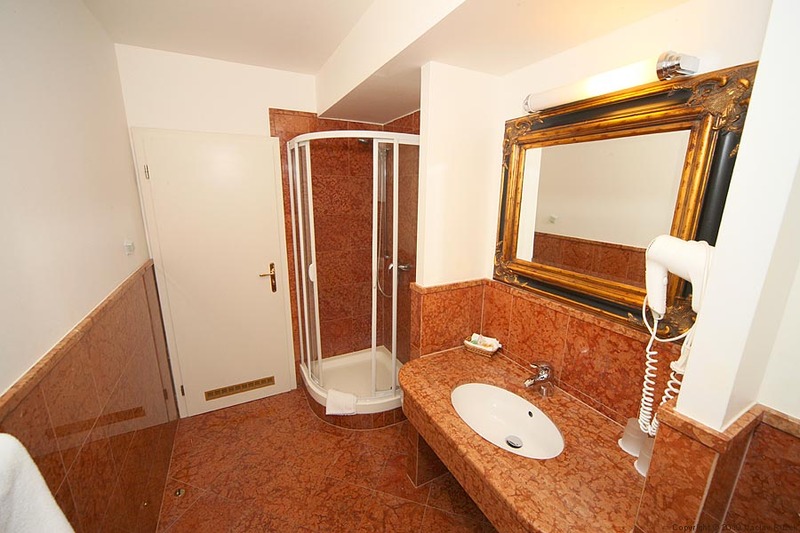 Regarding its convenient position (in the renowned archway Jalta) the Hotel Elysee provides its guests with a range of supplementary services - fitness, hairdresser’s, restaurants, cafés, theatre etc. 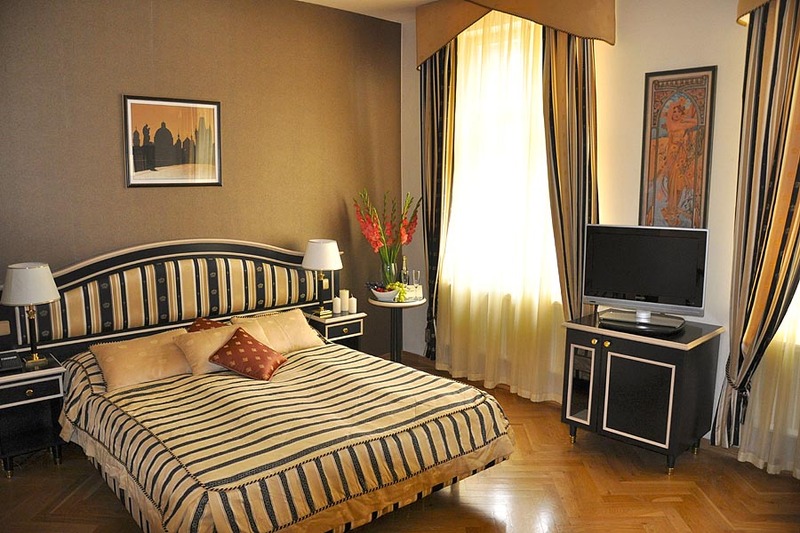 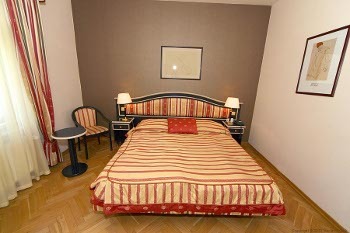 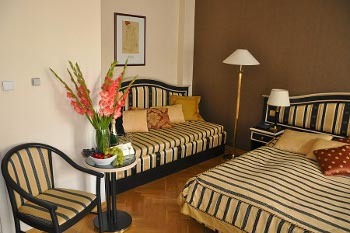 We offer accommodation in 63 elegantly decorated double or triple Classic rooms, with parquet floors and stylish furniture. 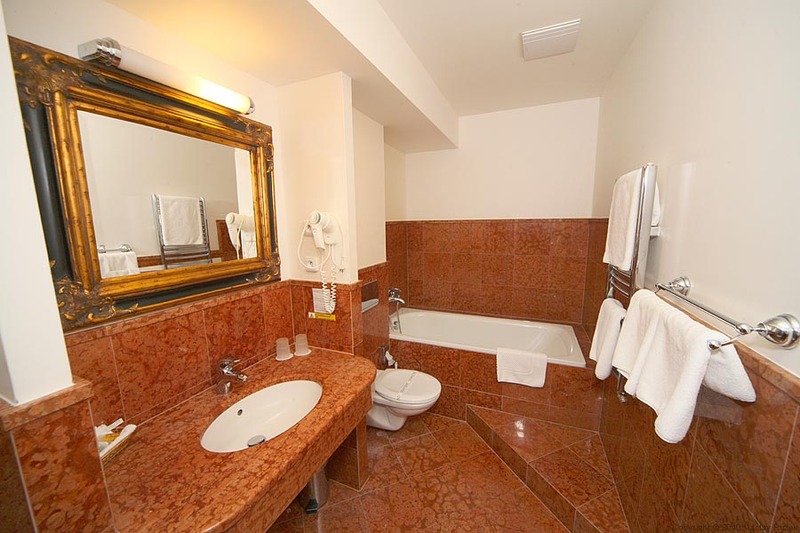 Bathrooms are fitted with a tub or shower, hairdryer and heated towel rail. Non smoking floor and room for disabled guests are available. 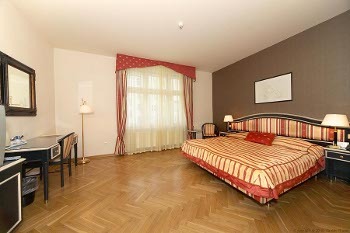 Please visit also the webpage of our apartments located in the same house. 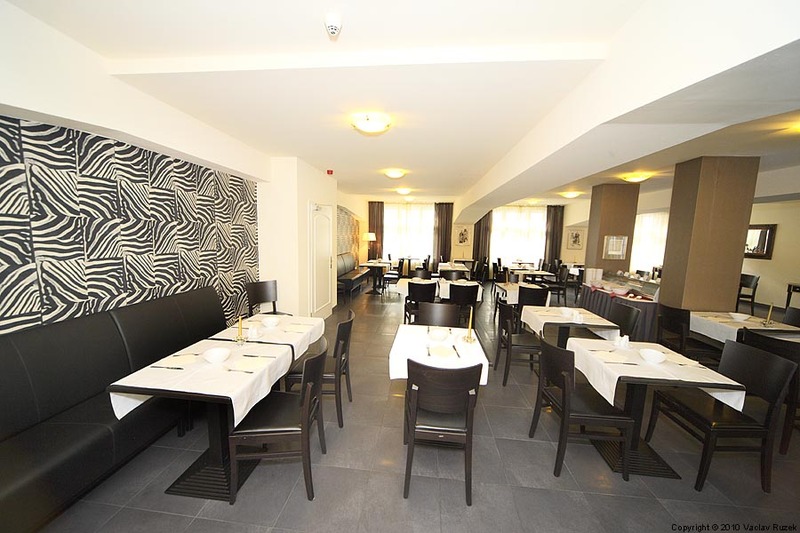 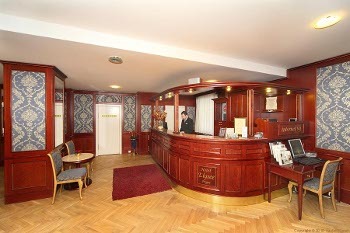 Reception with nonstop service offers all usual services to optimalize your stay in Prague. 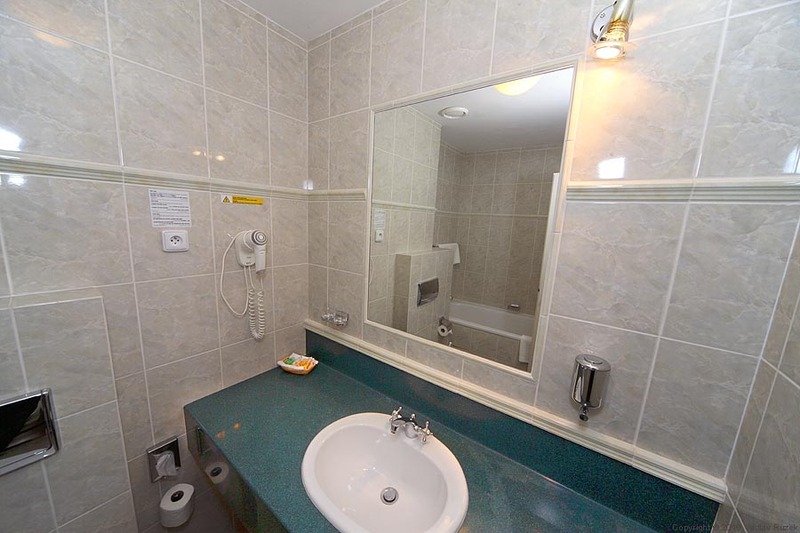 Possibility of parking on site, transport from/to airport, car rent arrangement, laundry, FREE iron & ironing board - on request, FREE baby cot - on request, wake-up call, luggage storage room. 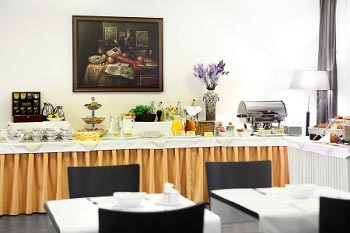 Exchange office - Fair Exchange Rate The hotel features two lounges with the total capacity of 40 persons and spacious breakfast room which can be used for meetings, presentations, events or conferences. We offer 10% discount for reservations prepaid 3 days or more in advance - rate "AP" (Advance Purchase). 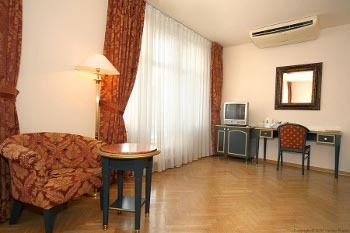 Prices include buffet breakfast and all taxes, but do not include city tax. 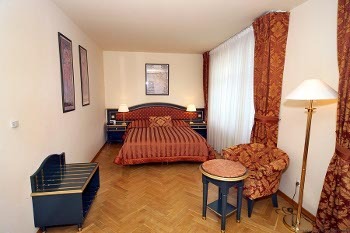 Children 0-6 years on extra bed or baby cot - free of charge.